Employer health insurance renewal. The mere thought of it sends CFOs diving for cover behind their computer screens and CEOs into thinking about early retirement. PricewaterhouseCoopers estimates that the average increase for employer sponsored health insurance plans will be 6% for 2019*, and while that is welcome relief from the double-digit increases we’ve seen in the past, don’t celebrate just yet. That is still double the approximate GDP, and that 6% increase is still a tax on one of the largest expenses behind salaries and the cost of goods or materials. It’s also, quite possibly, the respite before the storm. Studies have shown that efforts to curb utilization have now plateaued and we have yet to factor in the unknown effects of cost shifting now that the individual mandate has been lifted from ACA. Coupled with medical inflation, could we once again see an unwelcomed race to the top when it comes to renewals? 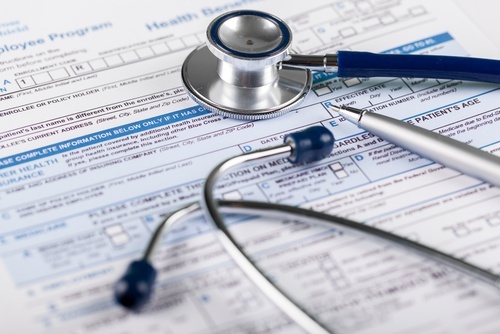 There are two common reasons why employers hate employee health insurance renewals. The constant and unpredictable turmoil forces them into hard decisions that impact their bottom lines and employees’ lives; i.e. taking care of business while tweaking benefits always to the lesser side and communicating “less for more” in terms of benefits versus employee contributions. A feeling that they have no control; they can only begrudgingly react. Is there nothing that can be done to beat the employer’s health plan renewal angst? Actually there is. And now, while we are in a momentary trough of rate renewal increases, is the perfect time to take control and prepare your health and group health benefits package for an advantageous future. Let’s face it: We’re all tired of the annual change of benefits and contribution amounts required to keep health insurance cost increases within palatable budgets. These steps are only band-aids on a bigger, annual problem. So instead of constantly fiddling with benefits, here are three meaningful strategies businesses can enact this year to take back control and curb rate renewals, now and in the future. Shop it…early…and make sure your broker is a team player. It takes time to proactively gather quotes and compare plans, first on an apples-to-apples basis and then for changes you may wish to make. Sitting down with your own broker (and probably others) three months before your renewal date is not too soon. Tell your broker you are looking for three things; rates, company stability and options to curb the renewal increase. Start this discussion with a budget for health insurance, not the other way around. Don’t let the renewal determine your budget. Establish a budget and then have the broker come up with budget-friendly rate options, planning suggestions and alternatives. One of those options should be for a self-funded plan if you are now fully insured. Internally review your employer health insurance plan, usage and details. It is not enough to offer employee health insurance because “we need to.” Take control and ask yourself a few questions about what you are trying to accomplish with a health insurance package. Don’t just accept the need for health coverage. Think about what it should be doing for you. benefit monies be better spent and appreciated elsewhere? 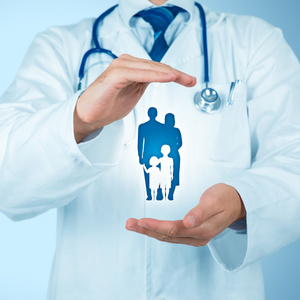 What is the goal of your employee health insurance program? Is it to attract new workers and retain current ones? With the current labor force tight, competition for talent is fierce and when considering the downtime and cost of a new hire with an average of 6 to 8 months before that person is fully up to speed with your processes and culture, should you enhance benefits in certain areas to look more attractive? If so, shift benefits and monies appropriately. In today’s environment it probably goes without saying, but make sure you are exercising all of the tax advantaged options you can. Would a HSA, for example, offset some of the bite for employees? Should you offer a tax-friendly HRA? Check these things and others out if they are not already in place. Consider looking at an insurance carrier or third party administrator that has the capability to offer an actuarial cost projection for any plan changes you are contemplating. Don’t guess at what those changes will do to your budget. Know. These steps go beyond simply changing benefits to cut costs. This is exploring your options to make your health plan work for everyone in your company while optimizing dollars spent. Use a company that works on your behalf to mitigate excessive claims charges. Your claims experience has a direct impact on your renewal. Money paid this year turns into more money paid next year for premiums.Do what you can to drive down the cost of claims now. Carriers and third party administrators that offer claims repricing services, such as ELAP or AMPS, have a phenomenal track record when it comes to keeping claims costs under control. And while many PPO contracts won’t even let a payer audit a facility bill, claims repricing services do this for you. At the same time, PPOs and many carriers auto-adjudicate, meaning software reviews the claims. Knowledgeable eyeballs never see them. Therefore a procedure that was knowingly never completed never gets caught, but the bill keeps coming. Without a repricing functionality, employers end up paying for exorbitant and unnecessary charges twice; at the time of a claim and in their renewal rates. Ask your broker to explain how any carrier or third party administrator works on your behalf to cut claims costs, and don’t settle for discounts. With regulations and guideline updates happening regularly, it is vital to stay informed. One of our focuses has been becoming educated on the details of the healthcare reform action items that affect our customers and brokers. No, you don’t have to go through a group health insurance renewal feeling like you’ve lost control or that fiddling with benefits and contributions are your only options for keeping a health insurance budget in check. And even though we appear to be off of the all-time highs for renewal rates, don’t breathe a sigh of relief and let your renewal go by without being proactive. The meaningful strategies for managing employer health insurance costs today will add up to considerable savings next year. MBA Benefit Administrators is in the business of saving employers money on their employee health insurance with advantageous strategies and partially self-funded plans which typically start with first year pricing at a maximum expense of 75% of a fully insured plan. And because of the effectiveness of strategies we put into place, more often than not renewals go down…not up…proven by the fact our average client retention is 12 years.